A Sept. 24, 2016 file photo of Ariana Grande performing at the 2016 iHeartRadio Music Festival in Las Vegas. 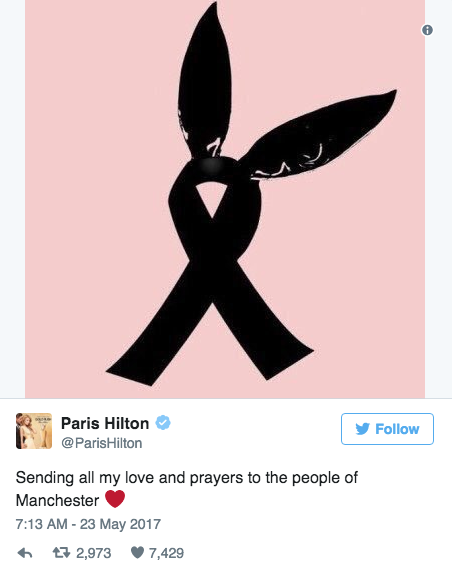 Celebrities around the world, from Priyanka Chopra to Taylor Swift, Dwayne Johnson and Harry Styles have condemned the Monday night Manchester attack. A blast at Manchester Arena at 10.35pm (local time) following a concert by singer Ariana Grande killed as many as 22 people and injured 59. Police were called to reports of an explosion at the concert venue where around 20,000 people had gathered. The cause of the blast is still unknown. British Prime Minister Theresa May termed the attack as “appalling terrorist attack”.